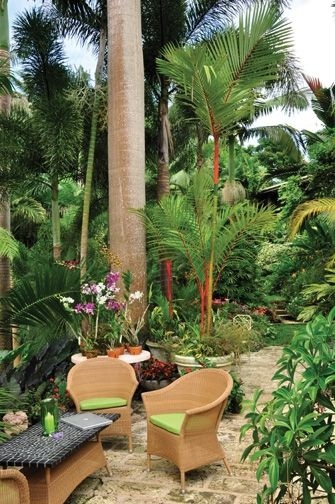 Pack a picnic basket and enjoy lunch or tea-time snacks in the lush courtyard of Anthony Hunte's plantation home. 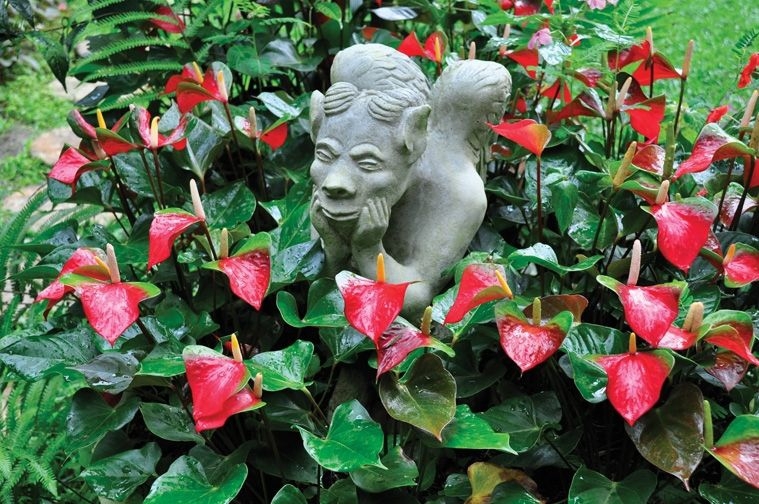 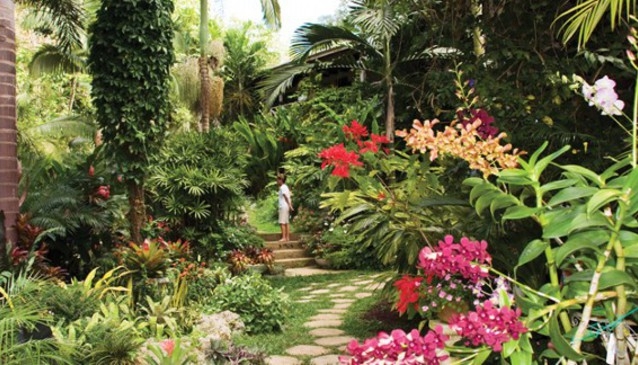 Be sure to bring a camera- besides the beautiful & rare plants, animals and birds love to visit these gardens too! 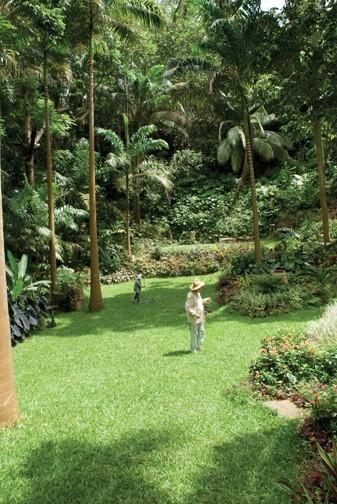 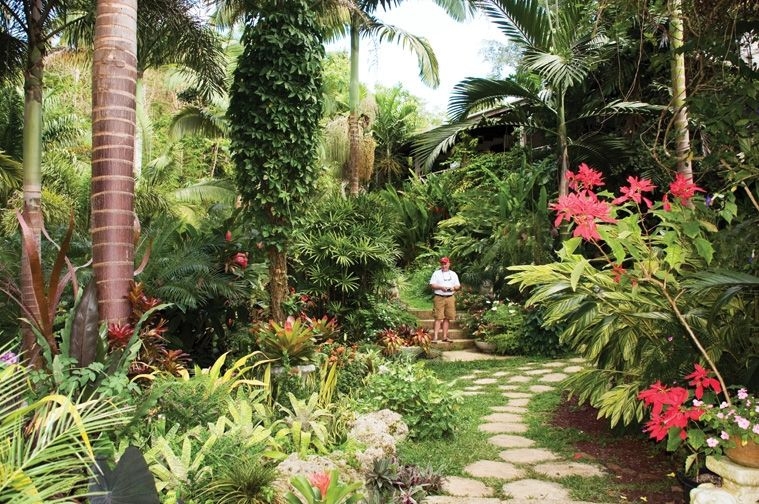 Anthony Hunte's extraordinarily beautiful garden is located in lush scenic highlands close to Barbados' Scotland District. 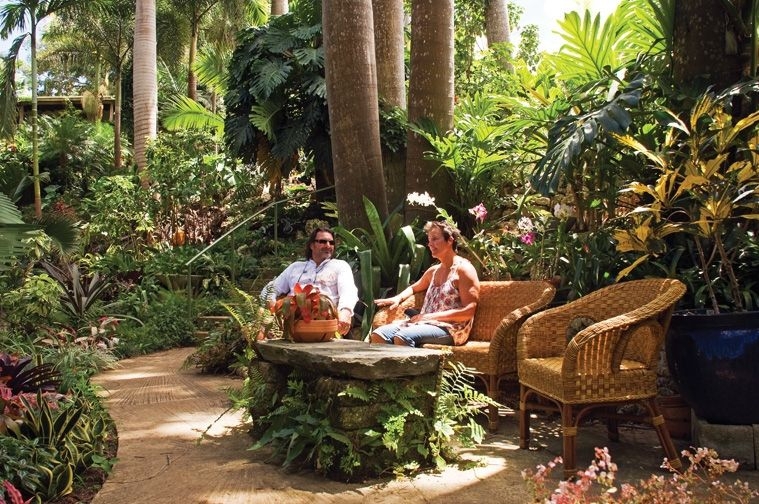 Visitors may wander through for an hour or so, sit and enjoy a cup of tea or a rum punch or bring along a picnic and settle down to drink in the atmosphere and beauty of the place comfortably seated in one of the several areas designed for that purpose. 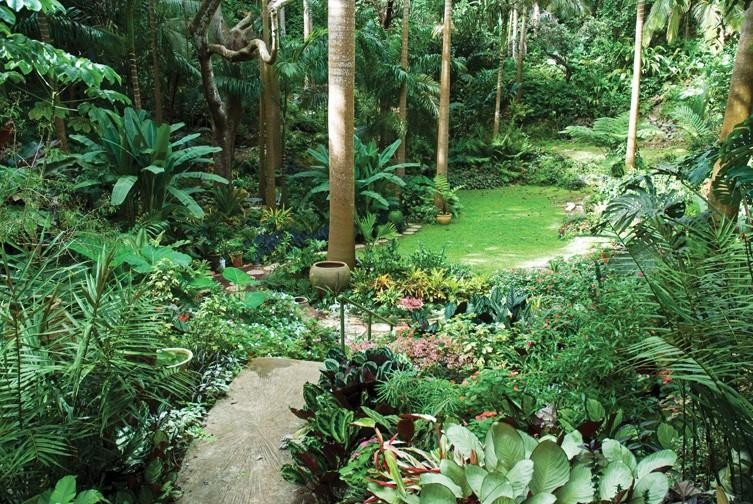 The garden, a natural amphitheatre, lends itself very well to the sound system broadcasting Anthony's classical music. 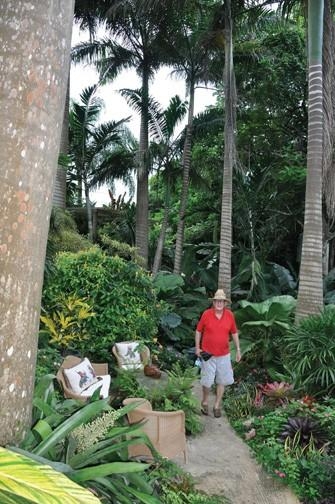 Like all devoted gardeners, he can usually be found hard at work along with his faithful assistant Anita. 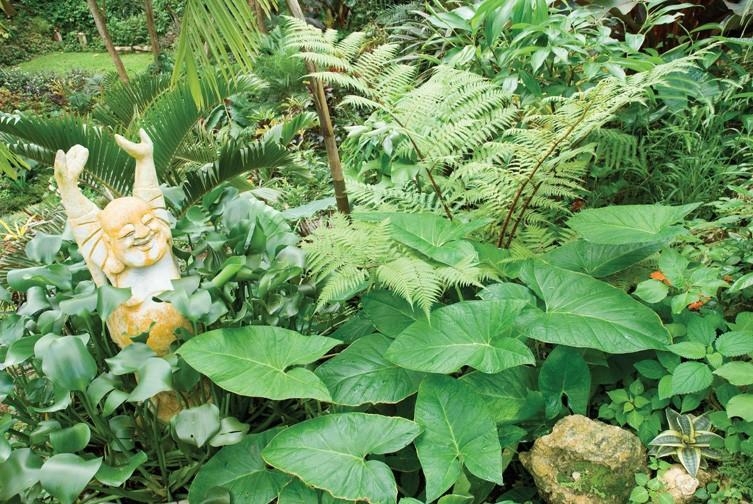 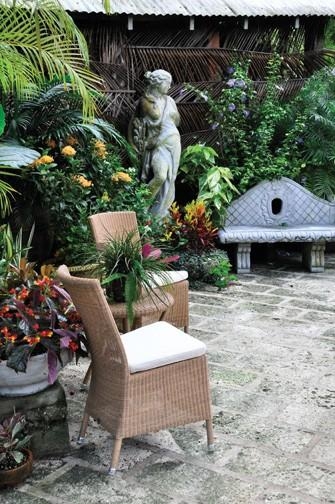 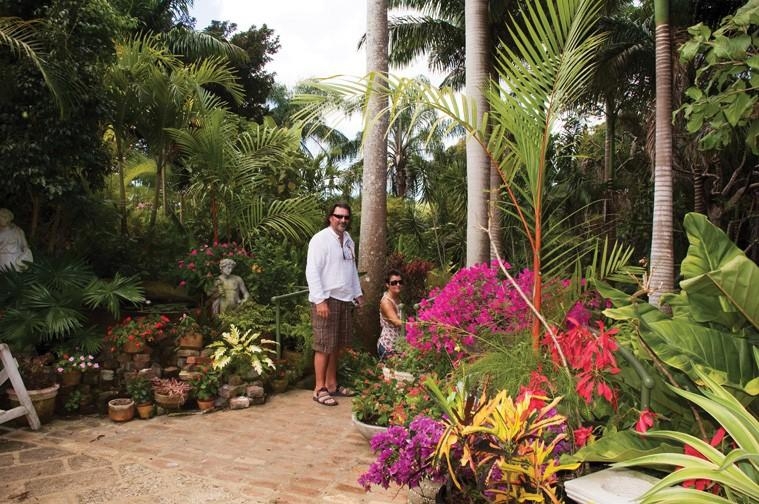 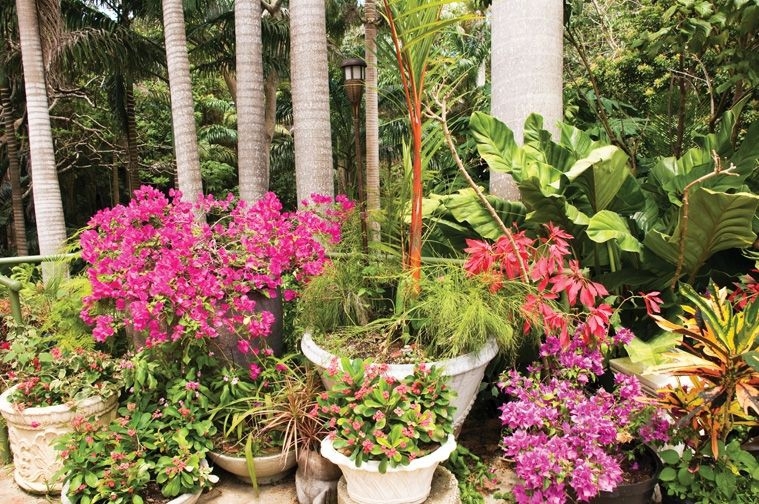 Fortunately, home owners in Barbados who are inspired by this lovely garden can purchase both outdoor furniture from Jenny Blanc Designs and the plants from the large plant nursery on site.